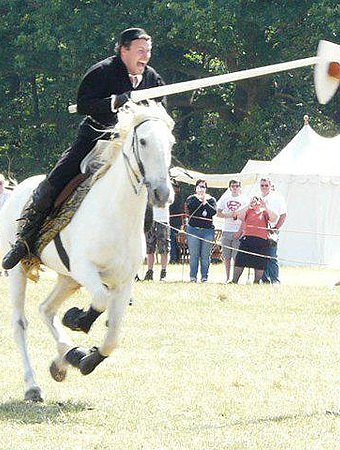 Imagine a hunting party of 15th century nobles - fine horses, rich brocades, knights and gentlemen vying for the ladies' favours with mounted feats of prowess... Destrier brings all this to your arena. 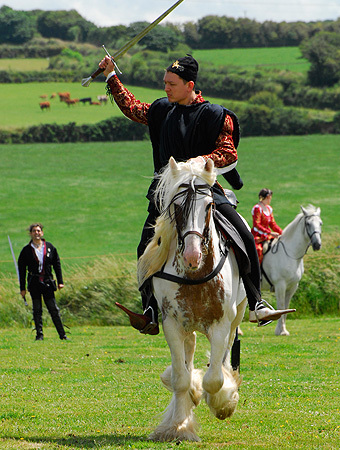 Our Hunting Games depict a splendidly attired group of gentry engaging in a trial of mounted skill and precision with weapons exercises and games set in a hunting context. The accompanying commentary explains each feat, as the riders indulge in dramatic banter and display. 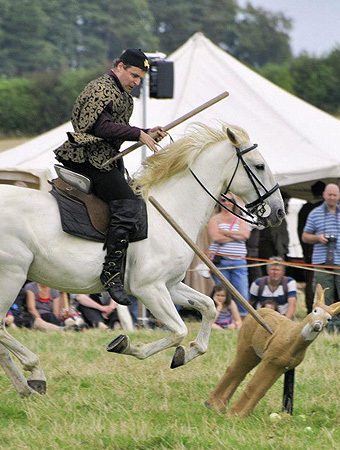 The Hunting Games introduce the knight's arsenal of weapons, as well as providing an insight into the fashions of the 15th century - a popular warm-up for the later joust. 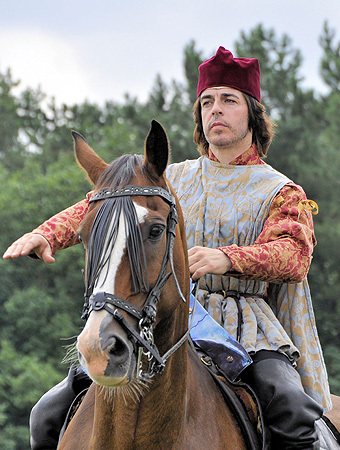 Or imagine the knightly retinue of a senior noble of the realm, gathered for a campaign of war, preparing for battle. Under the watchful eyes of their liege, they hone their skill with the tools of war - the lance, the mace, the sword - while being partly or fully armoured. 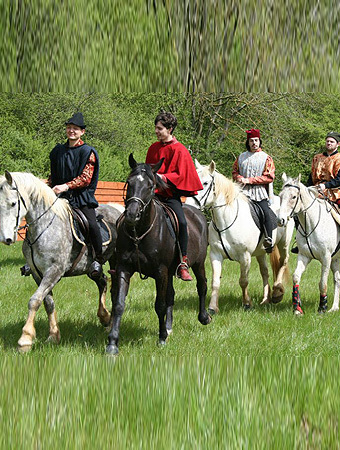 Each rider keen to best his fellows, they practice both individually and in formation. 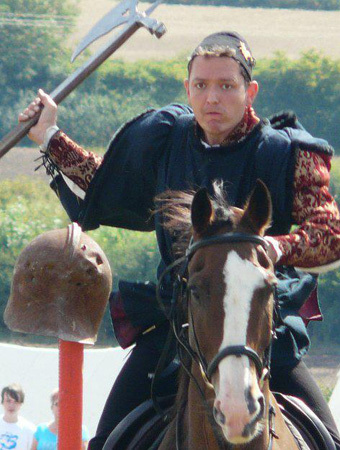 As the commentator puts their actions into context for the public, an excellent opportunity unfolds to witness a unit of 15th century knights close-up in action. Understand how armour works when used in earnest, learn which weapons are used in combat for which purpose and in which way, and experience the sight of an armoured charge thundering towards you. 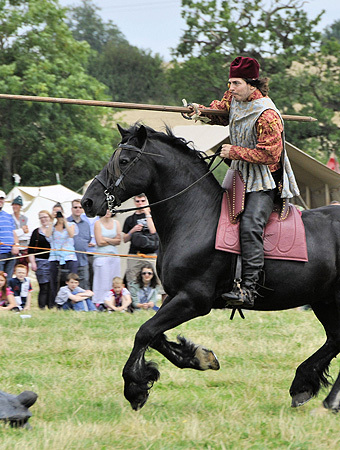 A perfect show to complement a battle re-enactment featuring armoured cavalry.